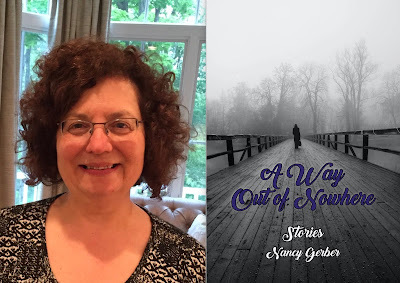 In the second in a series of posts from authors of 2018 books entered for The Story Prize, Nancy Gerber, author of A Way Out of Nowhere (Big Table Publishing), names names. When I first started writing stories, I was well aware of the symbolism of names in literature and in life. In The Book of Genesis, Adam names the birds and all the beasts of the field, giving him the power of a god. In Jhumpa Lahiri’s novel The Namesake, Gogol Ganguli changes the name he received by accident to Nikhil, the “good” name that was lost, though the awkward, accidental name Gogol follows him always. 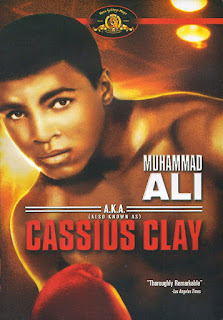 Cassius Clay renamed himself Muhammad Ali as a rejection of the legacy of slavery and as a way to claim authorship of his life. The first story I ever wrote was called “The Angry O,” a reference to the shape of a crying baby’s pursed mouth. In the first sentence, were two characters that needed names: a young husband and a young wife. I knew these two would have Jewish names. I had never written fiction before and the characters needed to be familiar because the writing process was so unfamiliar. I needed names that would anchor me on the treacherous journey into the unknown. I named them Hannah and Reuben, two beautiful, Old Testament names I hadn’t even known I liked until I set them on paper. Hannah, as it turns out, is the biblical name from which my own name, Nancy, is derived. After writing Reuben and Hannah into fictional existence, I felt freer about choosing characters’ names, less bound by anxiety and the need to acknowledge my heritage. Yet many of the female characters in the book share Old Testament names: Rachel, Leah, Sarah, Judith. In fact, when I was given the proofs to read before publication, I was surprised to see that, in a collection of nine stories, I had used the name Rachel in three different tales. I hadn’t even known I liked the name Rachel! I have no friends or relatives with that name. If you asked me right now, I’d say I prefer Rebecca, even though Rachel is perfectly lovely. I think there was something about the two syllables, and the long vowel followed by a short one, that was pleasing to my ear. After reading the proofs, I took out two of the Rachels and gave them different names. Another surprise came when I discovered I’d used the name Jake in more than one story. I pride myself on being creative, someone with a good imagination. Why had I named so many male characters Jake? Again, I think it had something to do with sound. That long vowel next to the hard consonant – I felt the name sounded somewhat sinister. And none of the characters named Jake are such great guys. Naming fictional characters, like naming a baby, tells us something about expectations and identity. The meaning of the Hebrew name for Reuben is “behold, the son,” or “ a son of vision.” In my book, Reuben is a son who carries the burden of his parents’ unhappiness. The second meaning of the Hebrew name is ironic in the context of the story; Reuben cannot see what is happening to his wife after the birth of their infant, a son. Sometimes we choose a name because it has a history, or a particular sound and heft. Sometimes the unconscious guides us in the right direction. Names in art and in life have lasting significance. We remember the names of fictional characters that become as important to us as family members—Louisa May Alcott’s Jo March, Fitzgerald’s Jay Gatsby. And while Reuben and Hannah and Rachel and Jake will not share such luminary status, they are my fictional offspring, dear to me, and, I hope, complex and compelling to the readers who find them.